Nail trimming can be very stressful for both you and your pet. At the Care Center we try and make PETicures as quick and easy as possible. 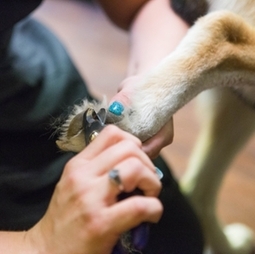 A nail trim appointment can be made the same day with a Veterinary Technician and costs only $12.00. Nail trims are 50% off if done with annual vaccines.